Photographer Victoria Harley visit Gilchesters Organics and Lovingly Artisan in northern England. Heading north from Newcastle upon Tyne, the sprawl of the Metro Centre quickly yields to rolling Northumberland countryside. Among these green fields you will find Andrew and Sybille Wilkinson, the husband and wife team behind Gilchesters Organics. For ten years they have been growing a range of organic grains and milling them into beautiful stoneground flours. From their fields of swaying stems you can see the mill. At one end of the building the harvested, dried grains are meticulously cleaned, to remove any husk, grit and dust before beginning the milling process. The team then carefully mill and pack seven different flours, from einkorn and spelt to rye and white wheat. Let's now follow the journey of their Unbleached White Wheat. The pallet being put together in the mill travels to Aidan Monks' Lovingly Artisan bakery in Cumbria. Aidan shares with the Wilkinsons a passion and commitment to produce high quality, high nutrition products that respect the land and grain. Aidan began his baking journey at the College of Culinary Arts in Boston, Massachusetts. Six years ago he opened in a small unit at Oxenholme Station near Kendal. He grew from there into his current bakery nearby at Plumgarths Farm Shop. 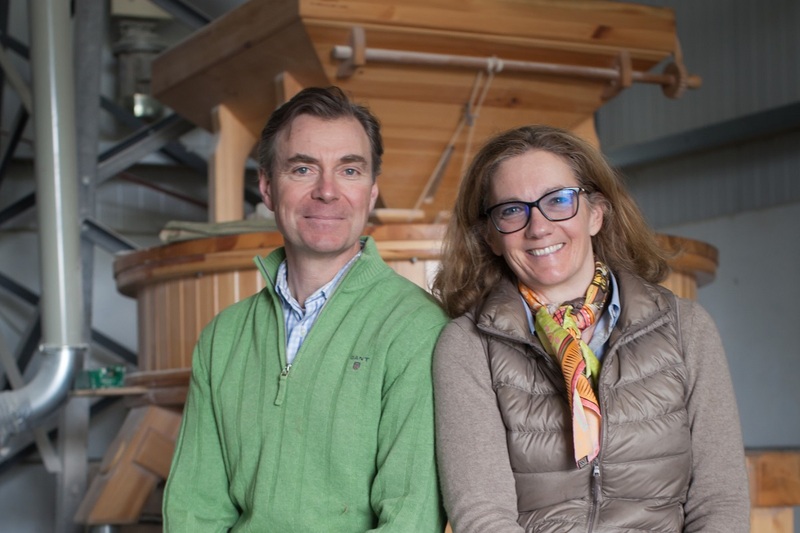 An early visit to Andrew and Sybille's farm cemented his love and respect for their work and products and he has been working with Gilchesters Organic flour ever since. Aidan says: "Heritage grains are the heart and soul of our approach to artisan sourdough. Having a relationship with our farmer, miller and his harvest is one of the fundamental factors in what makes our sourdough recipes unique." The Real Bread Campaign is a project of Sustain: the alliance for better food and farming.